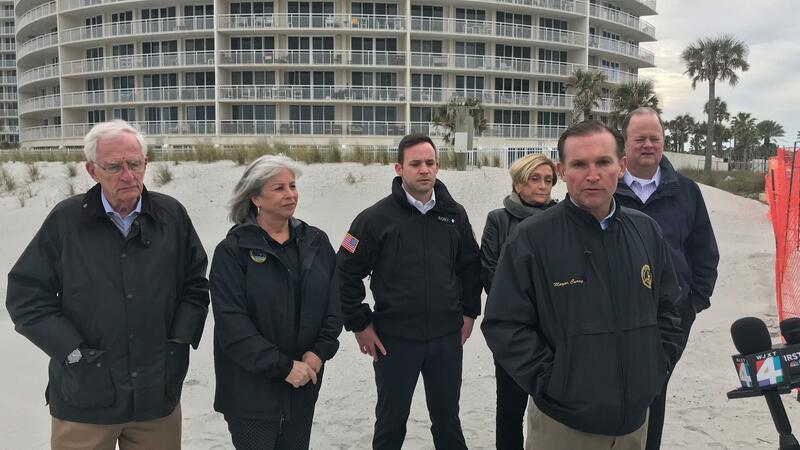 All of the beaches’ top elected officials made their endorsements during a press event where Curry announced the completion of the renourishment project to repair Jacksonville-area beaches damaged by hurricanes Irma and Matthew. Curry’s willingness to listen and help when needed was a common theme. “Every time I've ever reached out to Mayor Curry he's been very responsive and helpful to our community and to the beaches,” Atlantic Beach Mayor Ellen Glasser said. “So I'm proud to partner with the other two beach mayors, all three of us, to support his candidacy. “If it's not clear, every single leader at the beaches is endorsing Mayor Curry because he has been a friend of the beaches,” concluded Jacksonville City Councilman-Elect Rory Diamond, District 13, who has qualified and is facing no competition in the city’s March 19 election. A political action committee linked to Jacksonville Mayor Lenny Curry is throwing jabs at his top mayoral competitor Anna Lopez Brosche with a negative TV ad that started airing in late December, before she filed to run against him.